Fast forward to July 2015, when two SIM cards cost about $4 to $6 apiece and gave you the equivalent of 1 GB internet data to boot. Before 2013, the state-owned Myanmar Post and Telecommunication (MPT) had a stranglehold on cellular networks all over Myanmar. MPT soon got plenty of competition from two foreign upstarts: the Qatar-based Ooredoo and the Norway-based Telenor. Good news for anyone desperate to avoid sky-high roaming charges in Southeast Asia. So when you fly into one of the country's two main international airports, you'll find kiosks for all three prepaid SIM providers waiting for you at the arrival concourse. Even when you walk out onto the streets, you'll find hawkers selling them on almost every corner. Editor's note: prices are subject to constant change; for the most current pricing on each prepaid product, please visit their official sites. The former monopoly holder of cellular access in Myanmar, MPT is still government-owned and military-controlled (which may deter responsible travel practitioners from buying their services). But owing to its being the first on the scene, MPT has the widest cellular network in the country. Some habits are hard to break, though: MPT charges the most out of all three providers, but its Internet service hardly justifies the higher cost. 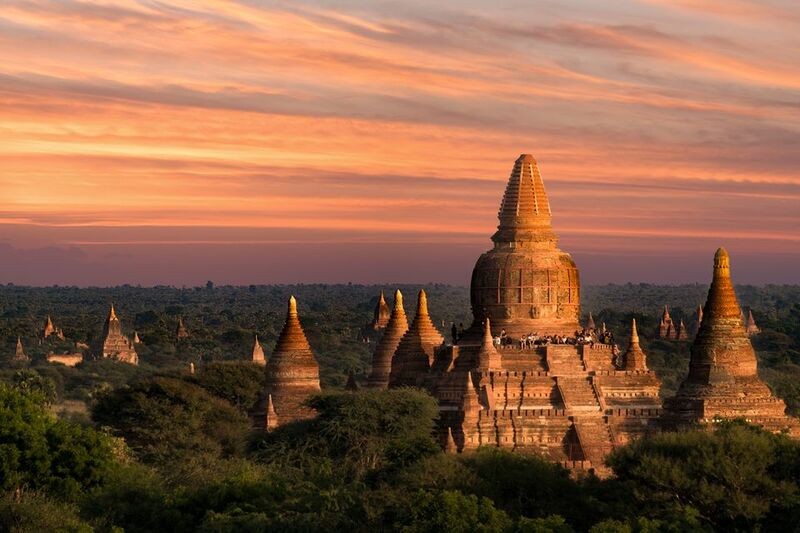 If your itinerary includes trips somewhat distant from the cities of Mandalay, Yangon, and the touristy town of Bagan, consider buying an MPT prepaid SIM if you want uninterrupted text and call access on your cell phone. At the time your correspondent visited Myanmar, Ooredoo's main pitchman was a shocked-looking teenager staring aghast at a smartphone screen where, presumably, something was being downloaded at breakneck speeds. Ooredoo pitches its Internet more than its voice services, and it's true: Ooredoo has one of the fastest 3G speeds in the country. The advertising leaves out the fact that Ooredoo's service quickly vanishes the minute you venture beyond the cities or major airports (my signal blipped out a few miles away from Heho airport headed to Pindaya). This may already have changed by the time you read this, as I passed by Ooredoo's cellular tower under construction in downtown Pindaya the next day. If Internet access is important to you, then get an Ooredoo SIM card. It included free 1GB Internet access on top of the package I'd purchased, for a total of 2GB! But it only had a connection in Yangon, Bagan, and Mandalay. Inle Lake and Pindaya, sadly, were dead zones. Telenor was my fall-back SIM in Pindaya when I was panicky from going a full 24 hours without talking to my family back home. I appreciated their ample coverage in Pindaya, along with the fact that their prepaid SIM was also low-cost. Unlike Ooredoo, Telenor focused more on wider coverage straight out of the gate; they've already overtaken Ooredoo in cellular coverage, despite having launched later. Their Internet access is OK, in my opinion, although it's a little more expensive than Ooredoo's despite their slower download speeds. The really smart locals buy a dual-SIM cellphone (a handset that can use two SIM cards simultaneously) and use two of the providers listed above. My first guide in Bagan had a handset running both MPT and Telenor. If I had a do-over, I'd still buy an Ooredoo SIM, but instead of Telenor, I'd buy an MPT for a call-and-text backup. At Inle Lake (where Telenor had yet to find a foothold), my boatman was happily chatting to his friend over an MPT connection while I was staring at my signal-less cellphone; I might just as well have been staring at a brick.